EdTech Blog Google Maps - Explore the world! Google Maps – Explore the world! 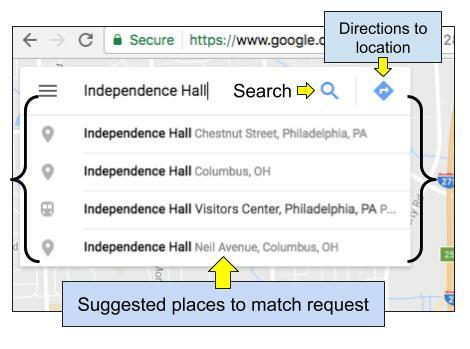 Google Maps has come out with some amazing features that can be used to enhance instruction in the classroom. (No, it’s not just for directions!) 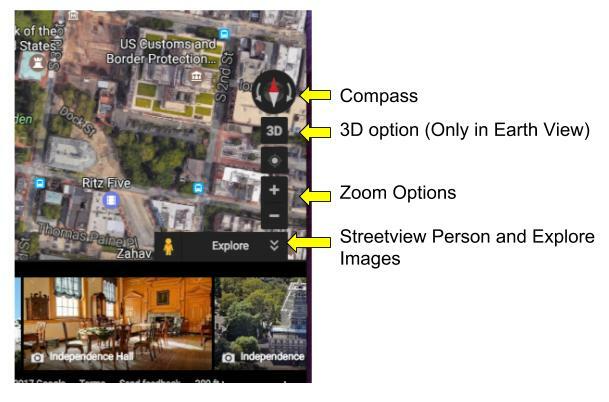 With the Street view option it allows students to take to the streets and view the world around them. Google has also integrated Google Earth and 3D renderings of their maps which helps intensify the almost 360 degree perspective. Choose the place you would like to explore. 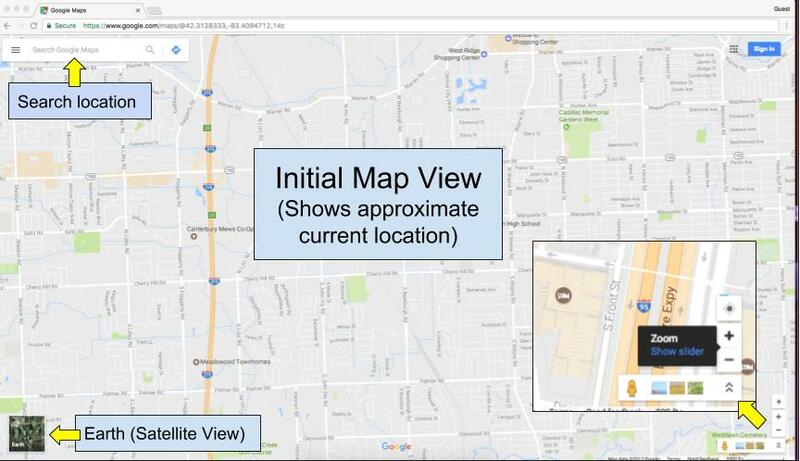 Map – Should show the location with a red arrow identifying it. Google Earth Option – Change the view from a traditional map to a satellite image. 3D View – Drag the mouse around to see the location in 3D. (You must be on the Earth map.) Hold Ctrl and drag the mouse to change perspective relative to your location. Street view – Explore from the street! 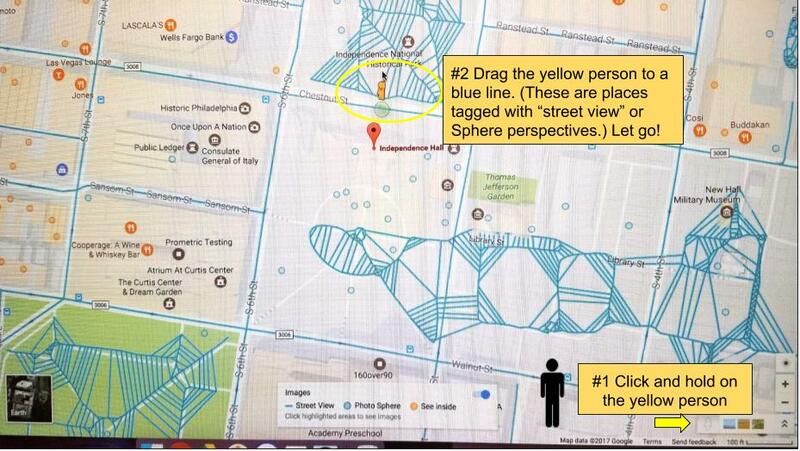 Drag the little yellow guy to a bright blue location to explore around you. Look in the upper left to see who owns it. On the App it may says “Subject to copyright” indicating Google is not the owner. Non-Google tagged images are not “walkable” in Street view. (But still fun to explore!) Some of them include inside of buildings rooms you may only see in a tour. 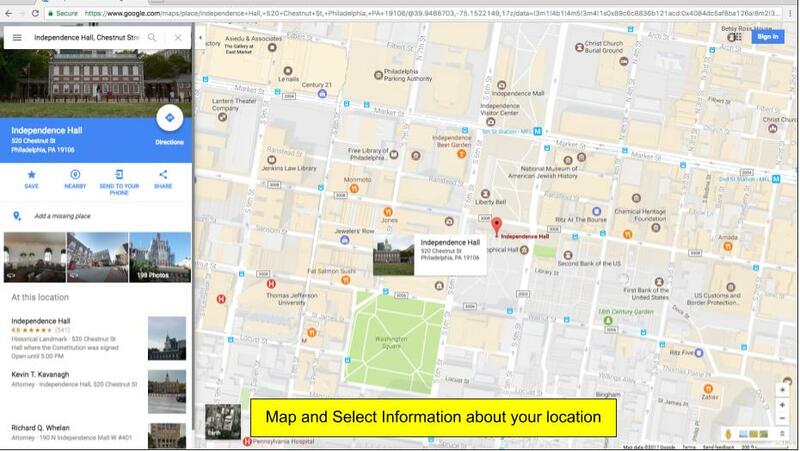 Check your locations prior to having students go there – Google Maps allows users to upload images. Some images may be personal images of people; others may be protests with signs that may need to be viewed before the presenting it to students. 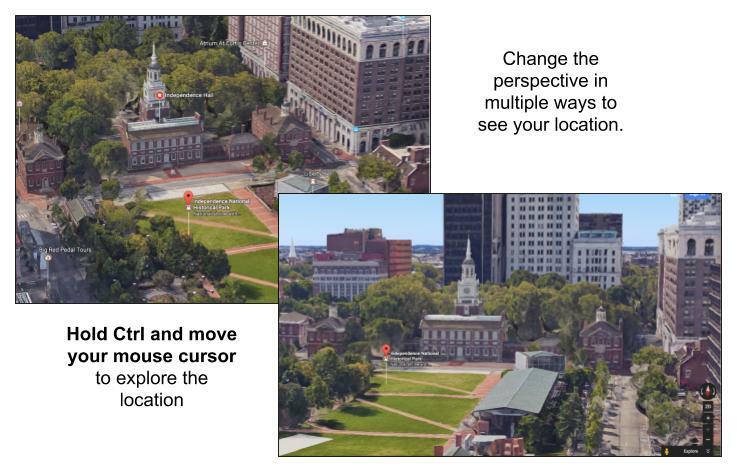 This is an excellent way for students to visit places and get a perspective of its location.